The Obama-era rules protecting the independence and integrity of American Internet access have lapsed. Tanner Kenney explores what this means for the general population, U.S.-based technology firms, global commerce, and diplomatic relationships around the world. At midnight on Monday, June 12th, 2018, the Federal Communications Commission’s (FCC) rules enforcing Net Neutrality (NN) in the United States officially expired. 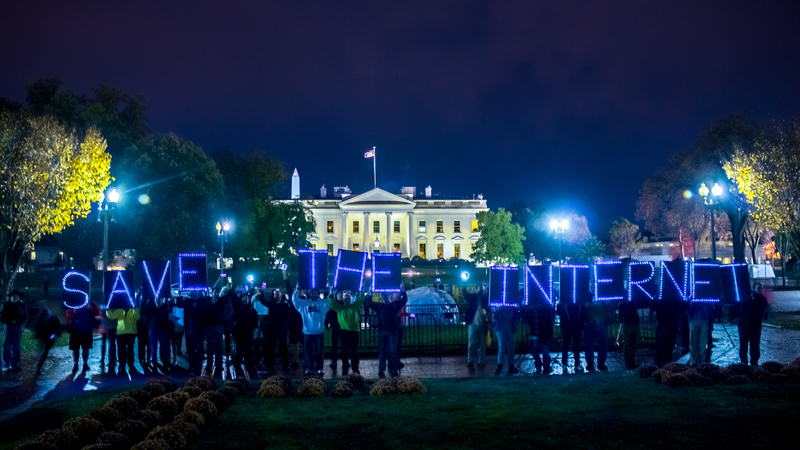 The rules were put in-place during former President Barack Obama’s tenure in the White House; net neutrality was meant to protect American Internet customers from having their connections slowed to a snail’s pace, limiting viewing of certain content, or outright preventing them from accessing a competitor’s website at the hands of their Internet Service Providers (ISP). The decision to repeal the NN rules – spearheaded by Chairman Ajit Pai, who was nominated to the position personally by President Donald Trump – followed a protracted debate amongst the five FCC commissioners and was bitterly divided along party-lines. Moreover, Pai’s public leveraging of falsified comments in support of repealing NN rules in addition to his claims of DDos attacks have been cited as the primary reason for why legislative action is necessary to reverse the decision. Since the announcement of the FCC’s decision to repeal NN rules on December 14th, 2017, critics have lambasted Pai and the commissioners supporting the decision for their short-sighted and narrow-minded interpretation of the necessity for NN enforcement. Additionally, they have consistently been criticized for downplaying the actual day-to-day functions and impacts of the rules, themselves. This is to say nothing of the Republican-controlled FCC’s desire to reduce the availability of high-speed Internet to those in rural areas, all in the name of slightly larger profit-margins. The debate has also shed light on just how passionate people are about a “free and open Internet” in the face of ISPs, lobbying powerhouses in their own right. Unfortunately, that vitriol has turned ugly as Pai claims he not only received death threats prior to the decision, but that they continue, to this day, as well. However, one of the more interesting aspects of the Net Neutrality debate is that, even prior to the adoption of NN rules by the FCC, the European Union (EU) was already creating a system of laws, regulations, and policies that mimic NN rules, to a degree. The EU officially began regulating the processing of personal data transmitted via the Internet in 1995 and the recently-effective General Data Protection Regulation (GDPR) provides its citizens and business with a radically different Internet experience than is currently seen in the United States. After over four years of debate in the EU Parliament, the GDPR goes above and beyond the NN rules scrapped by the FCC in protecting the essential rights of Internet customers and users, alike. In doing so, the EU has exposed the lack of privacy controls granted to American citizens by Internet regulators. Lastly, how will this affect you – an individual Internet user with the desire to learn more about the world around you? The FCC’s NN rules previously prevented companies like Comcast, AT&T, Verizon, among various others to allow the free and open access of any website available to the general public without interruption, reduction in speed, quality of the content provided, including making it illegal for these companies to prevent you from accessing a competitor’s website. All of these are no longer subject to regulation by the FCC. Ultimately, the FCC’s repeal of NN rules may not matter should members of Congress decide to act and return the American Internet experience to its previous iteration. However, this will not occur under a GOP-controlled House and/or Senate as members of the party have clearly shown they would rather listen to ISPs than the constituents they represent. Should the FCC’s vision for the future of the Internet in the country remain intact, its very possible that you may lose access to your favorite websites and content.